Not long after our September 2017 webcast on the SAP Business One road map did we get an update from SAP. While not ideal for the shelf life of our webcast, we were due for an update. Insights on the future of SAP Business One were shared in keynotes and sessions at Biz.ONE in October, but our official road map update for SAP Business One was released in December. Here is a direct link, but you will need to be authenticated via your SAP account. If that link does not work for you, search for SAP Business One on the public SAP Road Maps web page (but don't forget to log in first). The good news is that the road map continues to provide guidance for SAP Business One customers to use as we make decisions on plans to address new challenges in the business and, of course, new opportunities. A key point for me is that the development plans seem to be going into a period of consolidation now after a flurry of announcements around product direction during the first half of 2017. Not to get too "inside baseball," but many of the announcements seemed to be driven by a new SAP SMB management team. 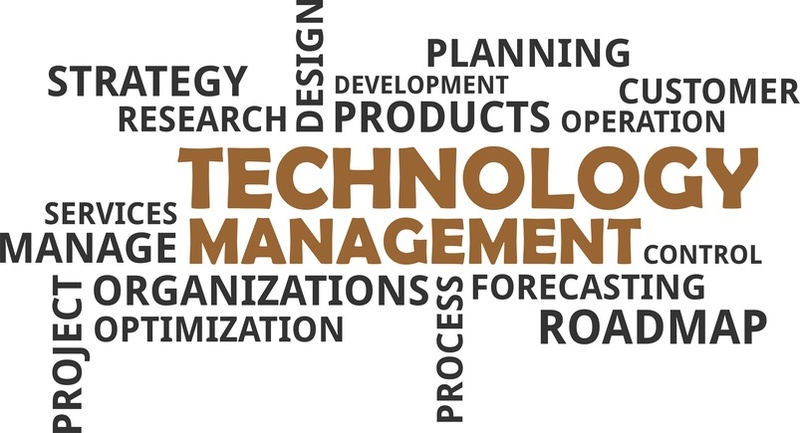 From what I have heard about how the team structure has evolved—as often happens inside large organizations—the core SAP Business One management team is back in the driver's seat, so to speak. One thing continues to be made clear, and that is that SAP's focus on SAP HANA and cloud runs across all the product lines, and SAP Business One is not exempted from this focus. 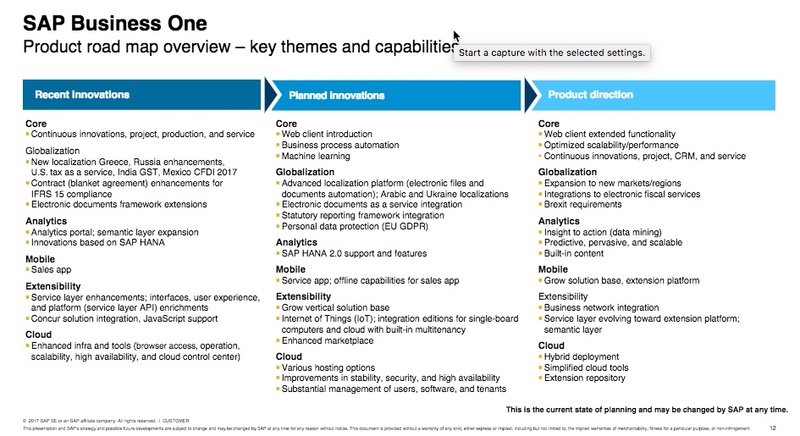 I have already written about one aspect of the new road map in how it relates to the simplification of choices for SAP Business One Cloud deployments. I encourage you to review that post if you missed it a few weeks back. 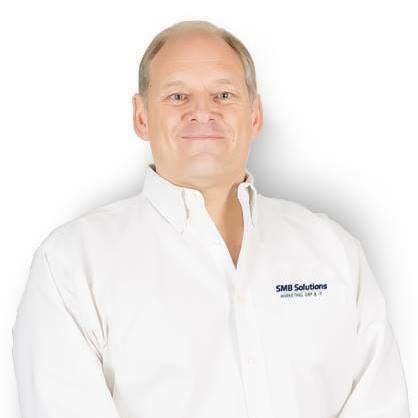 I would also encourage you to read this article from longtime ASUG volunteer and Chief SAP Business One Ambassador at Vision33, Carl Lewis. 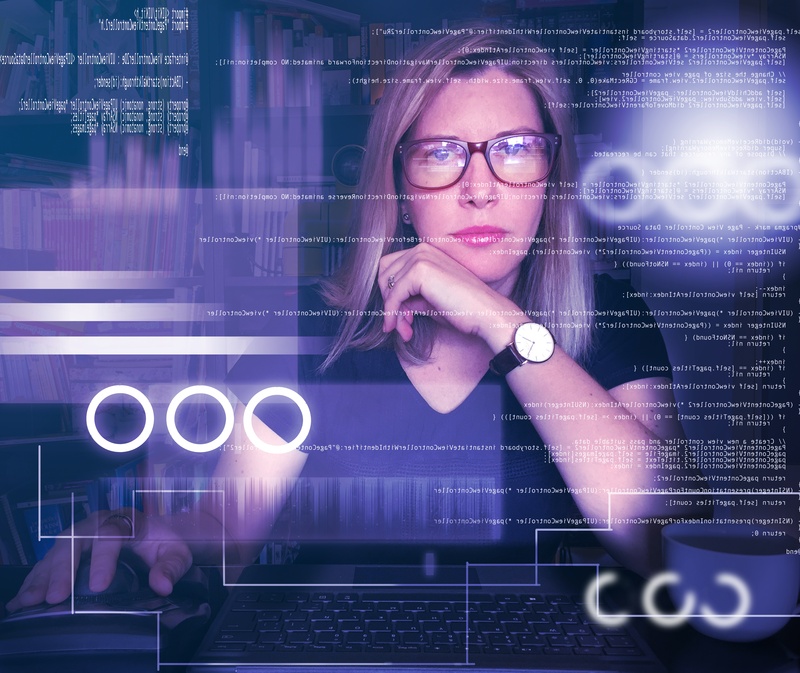 In the article, Carl outlines why he believes that now is the time to consider SAP HANA, as well as some costs that you may need to consider when transitioning to version for SAP HANA. I'll add that you should not forget the cost of new server hardware, which is not factored into Carl's costings. But of course, if you move to the cloud at the same time as your move to SAP HANA, then the hardware and maintenance become the cloud provider's responsibility. 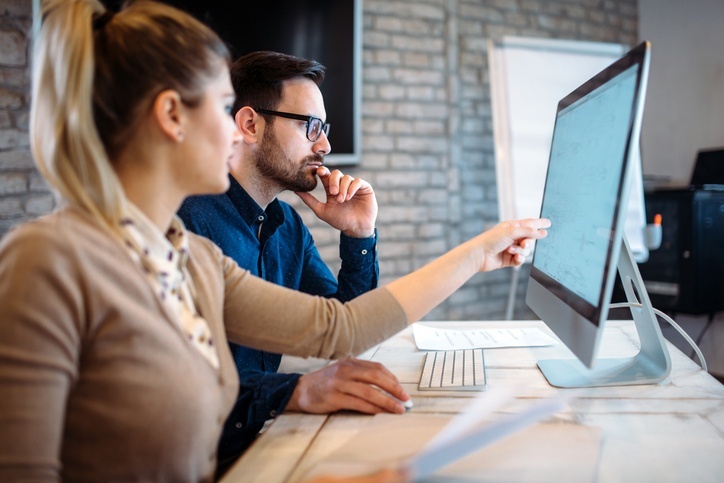 The other area to consider as you plan your own road map for your SAP Business One system is that version 9.3 will most likely go into general availability within the next few months. Not up to date on version 9.3? ONE.Source can help. Now is a a good time to review what's coming up in 9.3 by reviewing the slides and recording of our webcast on SAP Business One 9.3 enhancements from this past November. Or if you are still catching up on version 9.2, we had a webcast on The Best New Features in SAP Business One 9.2 Maintenance Release a few months earlier. These and many other webcasts, videos, blogs, and discussions can always be accessed via our ONE.Source community forum. And if you have questions about the road map, SAP HANA, moving to the cloud, or anything else, we encourage you to let us know.